After browsing the aisles of the museum, what a joy to be able to land a few moments in the tavern of the 1930s and listen to the barrel organ. 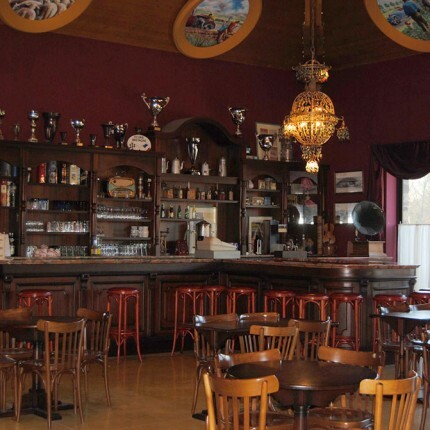 You will enjoy the decor of this tavern, a mix of wood and leather. Decorated with many portraits, it will awaken the nostalgia of these great gentlemen of the automobile. An ideal place to remember the Roaring Twenties, where the engines bawled amongst the horses and bicycles that ruled our cities and countryside. You will also see some pictures representing the mansion before its construction.